HAPPY BIRTHDAY TO SEUNG HUN TODAY !!! MAY ALL YOUR WISHES COME TRUE ! HEY EVERYONE, THIS IS W/E!!!! GOSH SO SAD WE HAVE LOST EVERYTHING, I MEAN THE NEARLY 1000 PAGES AND WONDERFUL PICTURES. BUT LOOK ON THE BRIGHT SIDE AT LEAST WE DIDNT LOOSE THIS WHOLE WEBSITE RIGHT? WELLS, WELCOME BACK EVERYONE!!!! May God turn his face toward you and give you peace. Thank you for giving us so many friends along the journey with you. With so many hearts, you can always feel warm in the coldest place. Have a Fantastic, Incredible, Sublime and Happy 29th birthday, oppa! 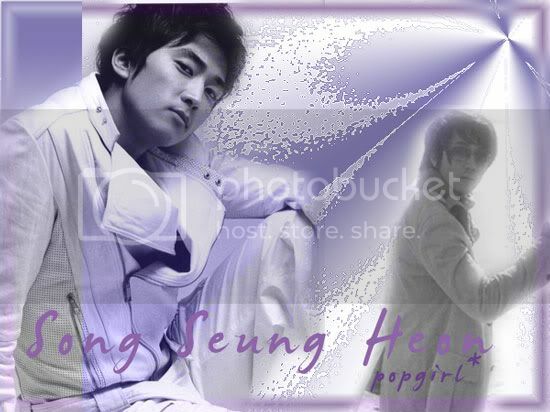 Happy Birthday to our beloved...Song Seung Heon!!!!!! OMG ! SSH was my FiRST korean love when i saw him i was like .. O.O who is that damn fine man on my tv screen!? i want to join in his .. ums .. club is it ? I absolutely love him. He is a very talented man. I hope he is doing well. Song Seung Bohk... Is a horrible name. Umm since soompi lost all data and we lost SSH Clan Thread too ..